To wear or not wear compression: Do they work? Compression wear – from the average gym goer and weekend runner, to the professional athlete. No doubt you’ve seen compression garments being worn plenty of times before. But how effective is compression wear for the non athlete? Is it just a fashion fad or is it a legitimate option for increased performance and recovery? 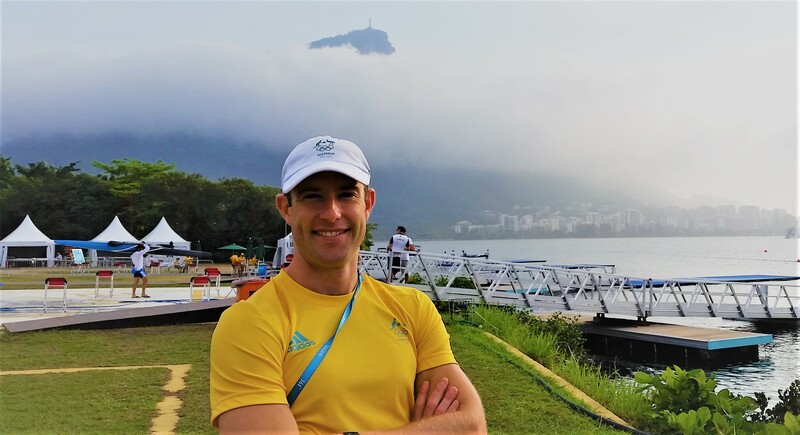 We sat down with Australian Olympic team physio and runner Myles Burfield to discuss. 1. Are compression garments necessary for increased performance and recovery? At the amateur level compression garments are not necessary, although they could be beneficial depending on your reasons for using them. From a recovery perspective their use is well supported in the research, and they’re used widely within the elite community for travel and improved speed of recovery post high intensity sessions. Their performance benefits are a little more controversial. Some very weak research suggests that their may be some performance benefits across a few different sports (cyclists, netballers, track athletes) although the size of the studies were small, and the improvements were not ‘statistically significant’. This means that they found small changes but after analysis it was not clear if these changes are due to true benefits from compression garments, or just natural differences between the groups (aka sampling error). 2. Are they relevant for the casual/semi casual runner, or only for professionals? In all honesty, if you’re looking for performance benefits as a casual runner you’re unlikely to find them in your compression garments. Although one of the biggest issues for amateur athletes is they often don’t have the time or resources to do optimal recovery (massage, stretching, proper cool downs). Compression garments can really assist when used after long or hard training sessions, or especially when you are training on consecutive days. A good example for many runners would be racing on a Saturday, and then doing a long run Sunday. 3. In terms of recovery, when is the most optimal time to wear compression garments and for how long? For recovery compression has been shown to work best when worn within 1 hour of exercising, and kept on overnight. If they are used during exercise benefits have been shown as early as 15minutes post exercise (decreased blood lactate levels in athletes wearing compression), although if you have been exercising without the garments then the priority is to cool your internal body temperature first (water immersion, rest, drinking cool water) before applying compression garments which could make it more difficult to get your body temperature down. 4. From your experience through the AIS, which brand of compression wear did you find the most effective? 8-15 mmHg = mild compression. When choosing compression garments for sporting or everyday use I usually recommend moderate compression, and choosing the brand that is the most comfortable. If the garment is a good fit, and compression is applied evenly, it should feel comfortable and non-restrictive. We want increased circulation, rather than circulation blocks. Myles Burfield was an Australian Olympic team physiotherapist at the Rio Olympics, and is also a director at Activate Health and Fitness. Myles is part of JS-PT’s network of health professionals who works with us and our clients for specialised physiotherapy needs. Recent studies have questioned the effectiveness of static stretching for performance and flexibility – do you believe this to be accurate and does static stretching still have a place in a runner’s program? For years there has been an ongoing debate about the effectiveness of static stretching as preparation for physical activity. The reason for this debate is that some studies have found benefit from static stretching, while some research suggests it may inhibit performance and increase the risk of injury. From my experience it is very dependant on the athlete, and the type of exercise they are planning to engage in. For runners there are key areas where flexibility is imperative, and if you do not have the range of motion in these areas then stretching can be very beneficial in both improving performance and reducing the risk of injury. A good place to start is by ensuring that you have enough ankle dorsiflexion, and hip extension. The images below show the basic tests for these movements. To maintain good running form it is recommended you maintain 10 degrees of hip extension availability, and you are able to achieve 13cm on your ankle dorsiflexion knee to wall test. How important is strength training for a long distance runner? How do you know when to prioritise strength or mobility/stretching? “A tight muscle is a weak muscle” and for runners the need to stretch often implies as need to strengthen. The easiest way to know if an area needs strengthening is to do some strength tests with a trainer or physiotherapist, but for an easy test at home you should be able to do 30x single leg calf raises on each leg, with no rest. This is the minimum strength to be safe to run 5km regularly (>3 times a week). If your hip extension or ankle mobility are poor then the priority is to stretch these, and restore mobility, before you run. If these areas continually get tight then it’s a strong suggestion that they may need strengthening. Myles can be found at Activate Health and Fitness as well as at our home at The Fitness Specialists in Milton. Get in contact via myles@activatehf.com.au. Interview with dietician Serena Sullivan: Is a bulk food prep days in advance the best way forward for dietary success? As a dietician, do you feel as though the practice of preparing food days in advance is the best way to ensure dietary compliance? Personally, I am much more successful consuming a healthy, well rounded diet when I spend 20-30 minutes each night preparing meals/snacks as opposed to preparing them all in one go. I feel big batch cooking and a fridge full of tupperware containers can look and feel like ‘dieting’. Some people may be able to do that for a short period of time before they either become bored or they fall off the wagon due to not finding the amount of time required on a weekend. Can cooking foods in bulk at times be a daunting prospect for someone trying to improve their eating habits? In my experience, very much so. 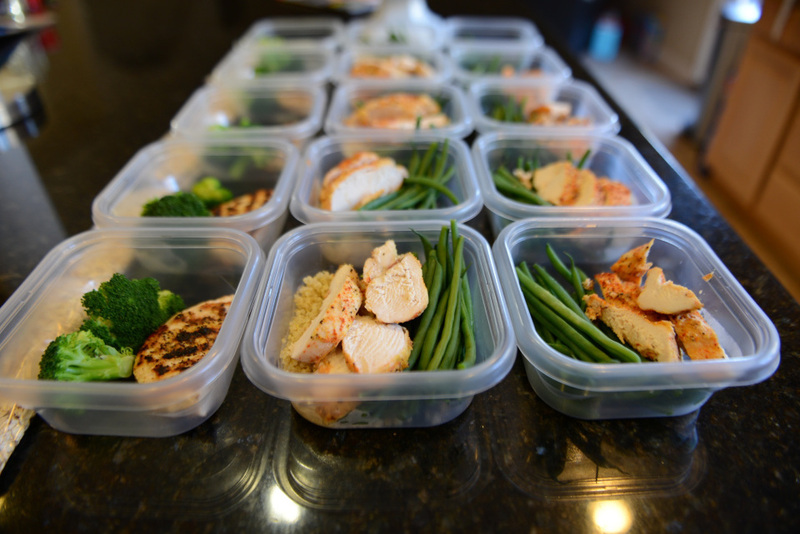 People can often find bulk prepping quite daunting. Many have good intentions when they set the goal of setting aside time on the weekend to do the planning, shopping, and preparing, but due to the hours this may take, it can be a challenge at times depending on the demands of family/social commitments and the like. In saying that I have also seen clients who have made it a genuine part of their lifestyle and have sustained it for an extended period! It depends on what will suit your needs and what is a sustainable approach for ongoing success. What are your favourite staple ingredients to include in your 20-30min prep each night? My favourites to prepare at night will be a small container of full fat plain greek yoghurt and either a whole fresh piece of fruit or chopped fruit. I’ll always pack a variety of nuts and seeds which sometimes I’ll add to the yogurt or have separately. Its simple but you can’t go wrong with fruit and nuts. This makes for an easy snack throughout the day. I try to buy a few different types of fruit for the sake of variety. I scale our dinner shopping to serve 4-5 people (only 2 people at home) so there is always left overs for lunches the next day. I’m always sure to have frozen vegetables, microwave rice, wholegrain bread, and some type of salad mixture, that way if dinner left overs are short on vegetables or a carbohydrate source, I can turn to these options to prepare a complete and substantial meal. Having the salad and wholegrain bread on hand usually means I will always have ingredients for a last minute salad sandwich with any vegetables if need be. How do you ensure your clients are eating the correct portion sizes? Whilst I educate my clients on serving sizes, I put more emphasis on making sure they are consuming enough food as opposed to food restriction. I put the biggest emphasis on the serving sizes of vegetables and try to encourage increasing vegetables servings. At the end of the day I want people looking at their meal and asking if they can see twice the amount of vegetables than they can see of protein or carbohydrates. If a meal is primarily vegetable based, it will always be nutritious and naturally lower in energy. Encouraging people to start thinking about increasing their vegetable intake (as well as increasing their intake of different varieties of vegetables) will mean they will naturally start to reduce in other areas where they may be over consuming. I will however speak more specifically about carbohydrate serving sizes with clients who have particular health conditions, such as diabetes or insulin resistance. As a general rule of thumb, I try not too do too much food policing to give clients space to make changes on their own terms! Remember what may work for others is not necessarily the best option for you. Whether you are preparing your food days in advance in one hit, or doing a little preparation each night, the important thing is to have a plan of sorts. Write down some meals which you can cook, but be sure to pack your kitchen with some staples (think frozen vegetables, canned goods, microwaveable rice/couscous/quinoa, eggs, mixed leaf bags from the supermarket) incase your best intentions don’t come to fruition. Follow Serena on Instagram @gathernutrition for more great tips! Hello again to the readers of the JS-PT Blog. I felt very honoured to be asked to write another article for you, this time delving into the all too common complaint of plantar fasciitis related heel pain (also referred to as fasciopathy, or fasciosis). In my 6+ years as a practising Podiatrist, I can confidently say that pain under the heel can be a very common issue with a number of possible causes, making it quite handy to have a professional on your side when it comes to treatment. With that in mind, this article, although not exhaustive, will hopefully give you a brief insight into this complex condition and provide some general information regarding treatment. Also, don’t forget to check out our video on the JS-PT Instagram on two quick ways you can directly mobilise the plantar fascia by way of massage and fascia release. Plantar fasciitis is generally considered to be an overuse condition affecting the strong band of connective tissue (called the plantar fascia) that runs from the front of the heel to the ball of the foot. The role of the plantar fascia is to help to provide support when we’re up on our feet. Normally, the fascia is able to its job without any dramas however in some cases, overstretching and micro-trauma can occur, resulting in pain. This pain is often described by my patients as a sharp pain in the heel after rest (such as getting out of bed or after sitting/lying down), which then gradually dissipates as they “warm up”. At this point, I think it is important to note that more than one diagnosis is possible for pain around the heel making adequate assessment from a health professional key. In addition, the onset of pain may correlate to a lifestyle change, such as new shoes or the alteration of a training program and exercise levels. Can this affect the rest of my body? You bet it can! As a lot of you would know, foot pain is incredibly frustrating as it affects us with every step. Our body, being the intuitive machine that it is, will try and avoid this pain by way of limping or altering its posture to reduce load from a particular structure (you may see where I’m going with this). Prolonged foot pain can lead to compensatory action from other areas, changing your lower limb mechanics and possibly causing secondary pain in your ankles, shins, knees, hips, or lower back. It can also work the other way around. The cause of your heel pain can sometimes be due to something occurring higher up such as core and/or glute weakness, or misalignment of the lower leg – it’s a two-way street! This list is not exhaustive and some of the techniques above may be more suitable than others depending on the underlying cause. As a result, I would really like to emphasise that plantar fasciitis and heel pain can be complex in nature, with a variety of factors involved in its onset. This is why making an appointment with a Podiatrist is highly recommended as a more in-depth biomechanical assessment can be performed. This not only ensures that the correct diagnosis is made, but a suitable individualised treatment plan may be devised. Moreover, some people require additional support through an orthotic device to help improve function of the foot and lower leg. Remember, a person’s health and circumstances are unique. This information is general in nature and is not intended to replace individual professional advice or the opinion of your medical practitioner. Always seek the advice of a qualified health professional before making any decisions about your health. Brukner, P., & Khan, K. (2012). Clinical Sports Medicine (4th ed.). McGraw-Hill Professional Publishing. Special thanks to Matt McKean and InStep Podiatry for the special guest blog. For specialist podiatry appointments, find them here. 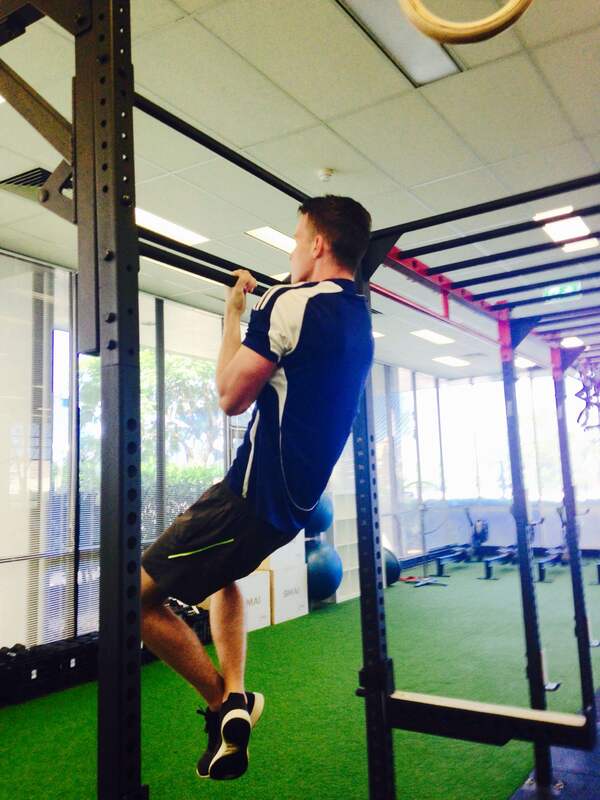 For more information on training with the team at JS-PT, email us at info@js-pt.com.au. Are you working long hours and often hunched over a computer? Are you racing to and from back-to-back meetings whilst trying not to think about how you will manage the mass amount of emails coming in? Are you feeling stressed and rundown by the increasing demand on employees? As a fellow corporate professional I truly understand how close to home these are working in the corporate world. I have seen firsthand how gradually these detrimental work habits begin to take a toll on our bodies and minds in the form of stress, tension and sickness. Whilst a mild amount of stress can help us meet deadlines, too much or constant stress can have a significant impact on our overall wellbeing. We spend over one-third of our life at work, that’s why it’s so important that we introduce tools early to help us better handle workplace stress and improve our overall wellbeing in the corporate world. One of these great tools I have found is Yoga. I’m sure you’ve heard of Yoga, but you may be wondering how turning yourself into a pretzel is going to help you in the workplace? Fair question, so let’s break this down. Everyone has different triggers and reactions to stress and in today’s world, stress is inescapable. The good news is you can develop ways to handle stress through Yoga principles. Numerous studies have shown how Yoga can help to counterbalance the body’s physical, mental and emotional reactions to stress. Yoga is more than merely a physical practice and another element of yoga that is becoming increasingly common in the western world is meditation. 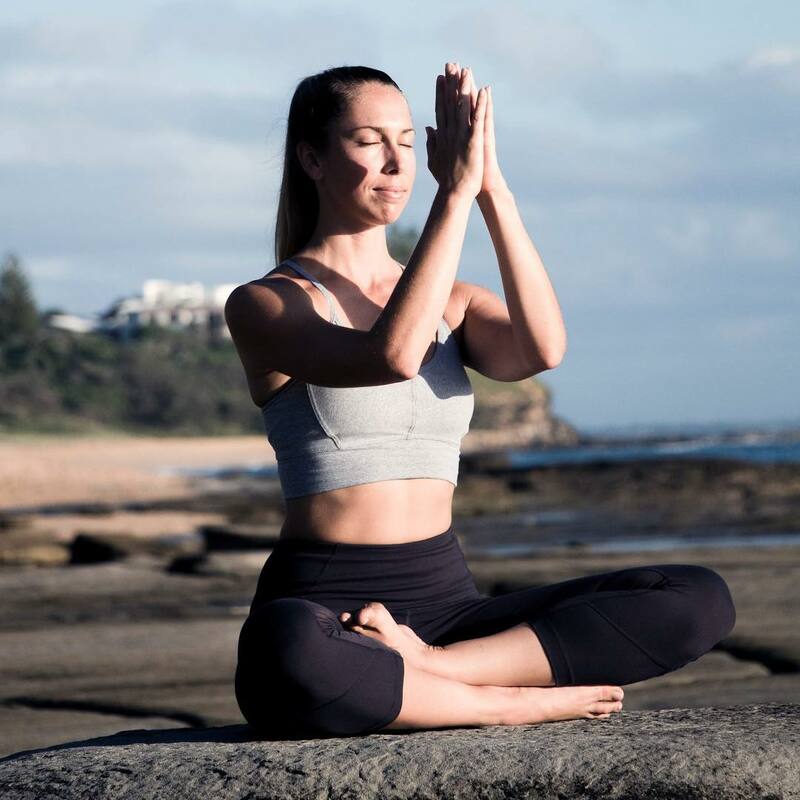 Yoga not only assists in the daily pressures placed on the physical body, it can also positively affect your mental and emotional wellbeing through meditation and mindful practices. You don’t have to be an advanced yogi to learn and apply these tools, so let’s have a look at three quick practices you can implement to better handle stress and improve your overall wellbeing in the workplace. It’s not news that we’re all spending more time hunched over our desks creating tight hips and shoulders, a creaky neck and sore back. All the usual consequences of slouching at your desk for 8 hours a day. Sitting for prolonged periods of time can lead to imbalances in your body that cause poor posture and injury down the road. Yoga can help reduce discomfort and target areas of tension, being an effective way to counterbalance common physical ailments. Taking some time in your workday to perform these quick stretches might just save you a more expensive trip to the physio! In a world where busyness can be perceived as success, taking a lunch break can sometimes be frowned upon. However, what you do in your lunch break can have a huge impact on your productivity for the rest of the day. Eating at your desk or spending your break aimlessly scrolling through social media can leave you feeling not very refreshed. Productivity reduces, it’s harder to focus and you may need that extra dose of caffeine to get you through. • Take a walk around the block without looking at your phone. Really notice what’s going on around you and take in the fresh air. • Eat your lunch mindfully. Take some time to appreciate the flavor and texture rather than rushing to eat while checking social media. • Practice some mindful meditation in your break, deep breathing and paying attention to how you’re feeling. Taking a deliberate break from work with a short walk or a bit of mindful relaxation can have powerful effects on our end-of-day concentration, stress, and fatigue. Research on meditation has shown it has many benefits, such as easing stress and anxiety and inducing feelings of tranquility and calmness. While the body needs constant movement to be healthy, the mind thrives with regular doses of stillness. Our minds like to be busy to help us accomplish tasks, however this can also cause us stress and lack of focus. The good news is, we can train our minds to be calmer and more focused through the practice of meditation. Spending just 5 minutes in meditation can completely change the way you approach life and how your body responds to stress. More popularly of late, the western world has been referring to ‘Mindfulness Meditation’. Here’s some quick tools as to how you can implement a 5-minute mindfulness meditation in your day. So set an alarm, and let’s get started. There you have it, that’s it! Simple, quick and effective. I hope you enjoy these tips on how you can easily implement yogic principles into your corporate day to better handle stress and improve your overall wellbeing. Like everything, start small and be kind to yourself, but most importantly, make a commitment to yourself as changes don’t happen overnight. Sending calming vibes your way. 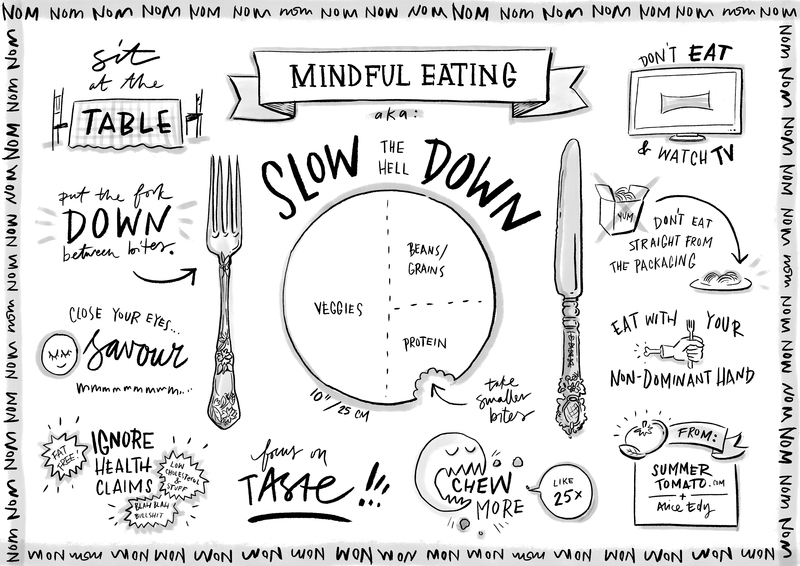 Mindful Eating – I’m sure you’ve heard the term, but do you feel like you’ve really grasped the concept? These days the term ‘Mindful Eating’ has somehow found its way into diet and weight loss programs around the world. Yet using mindful eating as as weight loss tool actually goes against what the practice of what mindful eating is truly about. Let’s break this down. Mindfulness is all about deliberately paying attention, non – judgmentally to your thoughts, emotions and physical sensations in the present moment. It’is purpose is to help free yourself of reactive, habitual patterns of thinking, feeling and acting. It is about balance, choice, wisdom and acceptance of what is. Ok, so how does Mindful Eating fit in? Mindful eating involves the act of non-judgmentally acknowledging your hunger and fullness cues to guide your decisions of when to begin and finish eating foods, and eating with awareness of all of your senses – sight, sound, touch, taste and smell. It helps to develop non-judgemental responses to food (likes, dislikes, neutral) while allowing yourself to become aware of the positive and nurturing opportunities available through food selection and preparation. It is a tool to learn which foods will best satisfy your hunger. Why is it not for weight loss? As you can see, the core purpose of mindful eating is to eat without judgement guided by your internal hunger and fullness cues. Practicing mindful eating with the intention to lose weight means that you are entering the eating occasion with expectation and judgement – to lose weight. If those expectations aren’t met, generally feelings of failure arise – which more often than not lead back to partaking in another behaviour for weight loss – which is a classic example of the diet cycle. So how can Mindful eating help? • Reconnecting with internal physical hunger and fullness cues: We were all born with the ability to regulate our hunger and fullness internally, but as we get older and life gets busier these cues get interrupted by our environment (i.e. increased stress, working shift work, designated eating times, being preoccupied with work,). By bringing awareness to your body’s sensations around hunger and fullness, mindful eating can help you reconnect with this innate ability we are all born with. • Reduce Non – Hungry Eating: As natural cues to hunger and fullness are explored mindful eating can help you to identify any instances of non hungry eating (i.e. eating because you are bored, stressed, depressed, lonely, procrastinating or just because it is there). Recognising these occasions is the first step to behaviour change and allows you to explore other remedies for non-hungry eating than food. • Reduce Overeating: Awareness during eating is also key to mindfulness practice. Combined with hunger-fullness awareness this allows us to notice when a food ceases to be as palatable or as enjoyable, helping to determine when satisfaction has been reached. This is called the ‘Law of Diminishing Pleasure’. • Increase confidence around foods we feel powerless around: We all have them, those foods that we don’t keep in the house because we don’t trust ourselves around them. Avoidance is a short term solution but long term it’s important to feel confident that you can be around certain foods without going crazy. When eating for ‘pleasure’ over ‘fuel’ – which is totally ok to do, practicing mindful eating can help us to determine when our pleasure/sensory needs have been fulfilled. For example you may buy a chocolate bar because you genuinely feel like it – in the past you might eat the whole bar because it is there, using mindful eating you may find that just half the bar satisfies you – or you may not! Only you can determine this. Write a definition of your hunger as if you were to put it in a dictionary- i.e. I feel… an empty feeling, gnawing and… fatigued, moody. Keep a hunger diary- Note down times you get hungry and any relevant circumstances around your hunger. Are you hungrier on days you exercise? Or perhaps days you have a larger workload? Less hungry on days you are stressed? Identifying patterns can help you to pack, prepare and choose foods that are more likely to satisfy your hunger. Give your hunger and fullness a score / 10- this is best practiced around meals you feel your overeat at (See scale below). Try to identify how much you need to stay in the comfort zone (i.e not getting so hungry you bite someone’s head off, and not getting so full that you feel unwell). Eat without distractions- Turn off the TV and put down the phone. Save your attention for the eating experience! Be curious with food, even if you have had it a million times- Before taking the first bite, ask yourself; What is the colour, texture and shape of your food like? Does it feel warm, cold or neutral? What does it smell like? Does it smell as you expected? Do different parts of it look, feel or smell different? Take a bite, but don’t chew yet! Is it cold, warm or hot on your tongue? How does the texture feel? Is it soft, smooth, dry or hard? Is it a combination? Chew slowly…How does it taste? Is is sweet, salty, or a mixture of both? Does the texture change as you chew? Does the flavour change as you chew? How does it feel on your tongue as you move it around your mouth? Now swallow…Has the taste changed again? Are there bits in your teeth? What is the aftertaste like? How is it similar or different from your first chew? Do you need more or are you satisfied? I hope you enjoy these tips on mindful eating and remember – mindful eating is about eating without judgement and is a skill that takes practice. Start small – if you can only practise mindfulness at one meal this week that’s ok, be patient with yourself – remember behaviour change is hard. 2018 is now in full swing – school holidays are officially over, the Australia Day long weekend has passed and everyone is now full steam ahead into the working year. Welcome back to a more consistent routine! With that in mind, now is the time to establish some healthy habits to get you moving towards your health and fitness goals fast. Whilst the following this isn’t rocket science, being on top of these few steps will ensure you are moving forward efficiently. Here are 5 habits to master to transform your body. Whilst everyone’s new year goal tends to be to go to the gym more, or to eat better, when it comes to getting back in shape, something that’s often overlooked, but that is so simple to do, is to just move more in general. 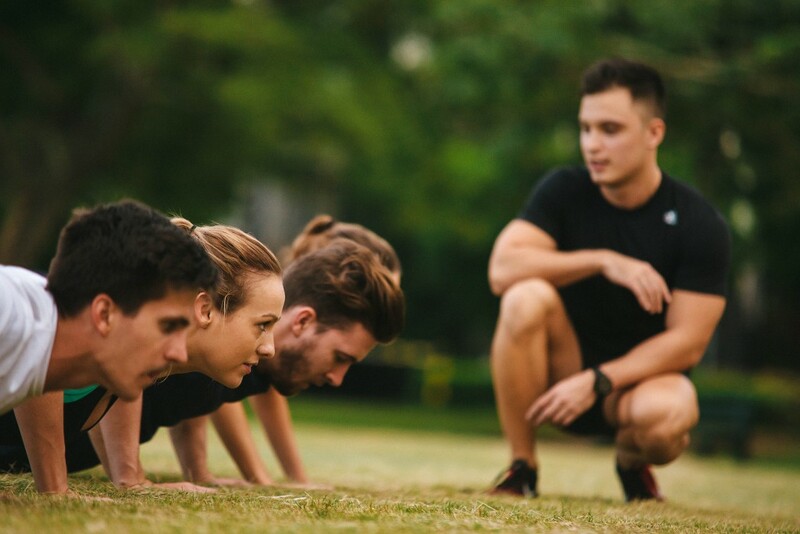 Aiming for 30-60 minutes of activity each day in addition to your gym or boot camp sessions ensures you are more active more often. This goal is especially beneficial for people who sit down at a desk all day. Options to move more could include going for a walk when you wake up or during your lunch break, parking further away, or simply just taking the stairs. Walking also aids in your recovery and digestion. Taking up a social sport or activity to mix things up with your normal gym routine is beneficial too given you can catch up with friends while being active. Sleeping more is one of the most overlooked aspects of fat loss, muscle gain and improved performance. Your body recovers primarily when sleeping, so getting some shut eye for 7-9 hours each night will give the body time to rebuild the torn muscle tissues which occur during training and ensure you are recovered adequately for whichever physical activities you may do the following day. Lack of sleep causes a drop in certain hormones (leptin) which play a key role in how ‘full’ you feel, making you more likely to consume more calories through snacking and cravings. Remember, quality counts, so limit the phone and Netflix before bedtime! Whilst we’ve recommended the approximate counting of calories through apps such as ‘My Fitness Pal’ in the past (which we still maintain is a useful tool to educate people on the macronutrient and calorie breakdown of different foods), calorie counting can be flawed due to the inaccuracy of food labels and the potential negative and obsessive effect it can have on your eating behaviours. So, with that in mind, try measuring portion sizes using the palm of your hand as a simple and flexible guide – this idea stems from our friends at Precision Nutrition. Aim for 80-90% of your diet coming from whole foods, with the remaining 10-20% spent on whatever you like, assuming you are eating adequate amounts of protein. Maybe you’ve read that increased water intake assists with fat loss, but it is not water per se that achieves this, but rather the effect that it may have on your drinking habits, in particular, by replacing ‘liquid calories’ you may have – such as juices, soft drinks or alcohol – with water intake. Drinking enough water per day (2-3L per day) has major health benefits. Studies have shown adequate water intake assists in the transfer of nutrients throughout the body, flushes out toxins, lubricates your joints and digestive tract, and regulates your body temperature through sweating. One particular study which was conducted a few years back showed that drinking 500ml of water increases your energy expenditure (calories burnt) by 24% (1). With this in mind, drink plenty of water before exercise and before meals as this is likely to increase your metabolism for the following hour and make you feel more full before eating. Being mindful of recovery is often something that is overlooked when people increase their activity levels. Above we mentioned the importance of sleep for recovery, but don’t forget that stretches and foam rolling maintains and improves your flexibility and mobility (recovery) too. Yoga is an obvious option here given you focus on not only stretching, but also the calmness of your mind through controlled breathing. Yoga also helps you mix up your exercise routine – lower intensity activities such as yoga, walking, pilates and meditation, combined with higher intensity exercises such as resistance training, conditioning and cardio provides a good mix of endorphin releasing and mindfulness exercises. Another very simple technique to help deal with stress is spending time in nature. Whether that is just by eating lunch in a park, or adding more greenery to your household or office, nature helps lower your stress hormones and heart rate, and improves your mood. 1. Boschmann M, Steiniger J, Franke G, Birkenfeld AL, Luft FC, Jordan J. Water drinking induces thermogenesis through osmosensitive mechanisms. J Clin Endocrinol Metab. 2007 Aug;92(8):3334-7. A fungus that grows underground due to a relationship with hazelnut or oak trees and soil, which is found by the keen smell of a trained dog, and can cost as much as $3000 per kilo. What? Lucky enough for us, we can buy truffles by the gram for $2 at Superior Fruit in Graceville, but what do we do with them? Truffles are used mostly to enhance and intensify foods by shaving as thinly as possible, to cover a wider area of food to help create a greater aroma. 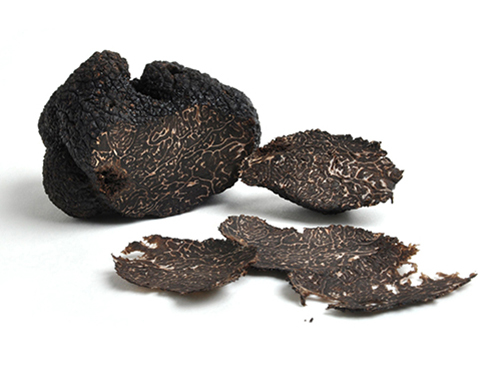 Best used over simple foods such as eggs, mushrooms, chicken, pasta, and potatoes, while some chefs may challenge the status quo and surprise in a delicious way with their use of truffles. Given the small amounts of shaved truffle you would use to flavour a dish, the nutritional benefits are limited, but they are known to be a good source of protein given they are from the mushroom family. As always, remember fresh is best! What’s changed with Australia’s new food pyramid? The bottom layer of the food pyramid is now predominantly vegetables as well as legumes and fruit. With the high amounts of vitamins and minerals present in these foods, they have been linked to a reduced risk of a number of serious diseases such as cancer, heart disease, and type 2 diabetes.. Vegetables and fruit are also high in fibre which helps with weight control. Given an estimated (and shocking) 7% of Australians reach the recommended daily intake of vegetables, this is a good start to the new pyramid. On a side note, while both are good options, still aim to eat more vegetables than fruit. The renamed carbohydrates group has shifted up from the bottom of the pyramid to put more emphasis on Australians eating more vegetables. Carbohydrates, even with their bad reputation these days, are essential in a healthy diet and the new pyramid encourages (whole)grains such as quinoa, brown rice, multigrain breads, and oats which are also all rich in fibre. That being said, other carbohydrate options such as white rice are not poor options and can easily be included in a well balanced diet. The second top layer emphasises consuming a variety of protein sources from dairy, meat, and non meat products. While red and white meats are the obvious choices of protein, people often forget dairy products (such as cottage cheese and greek yoghurt; whey protein powder also falls in this category) are also rich in protein as well as being high in calcium. Consuming a mixture of fish, nuts, and seeds will not only give you variety in your protein, but will also help you reach your recommended intake of healthy fats. Fats are often neglected but they have major roles in the body which include manufacturing and balancing hormones and improving brain and nervous system health. A mix of monounsaturated and polyunsaturated fats are ideal for optimal health. They can be found in oils, avocados, nuts and seeds, fish, and eggs. The previous food pyramids had junk food at the top in the ‘eat in small amounts’ category, and whilst I think the amended food pyramid is much better, I will say that eating a small percentage (under 10% of your daily intake) on whatever you wish will not have an effect on your overall body composition and will also help you control cravings. For the average person though, not having the junk food option on the pyramid is the correct stance. 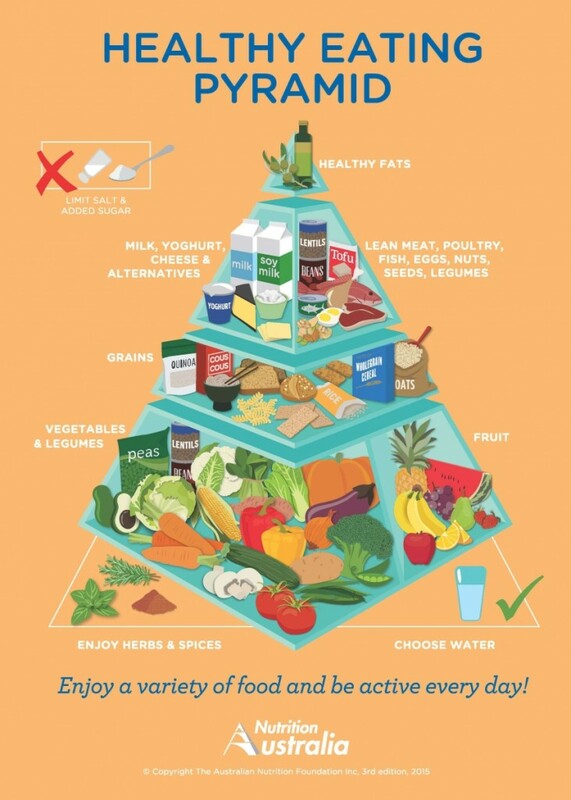 All in all, Nutrition Australia has done well with the updated version of the food pyramid. For the average person, it is a good starting point to refer to and if followed consistently would definitely improve the current eating habits of Australians unfamiliar with good nutrition practices. Putting more emphasis on vegetable intake is a much needed addition to the pyramid, and is definitely one aspect of nutrition which is hard to disagree on, regardless of what your good and bad nutrition stance is. JS-PT has a new home, and a new special offer! After a couple of months of transitioning from one gym to another, JS-PT has officially made the full time move over to Flow2 Gym in Milton (159 Coronation Drive). If you’ve been following the Instagram and Facebook pages, you would have seen a few photos and videos of all the action that’s been happening. 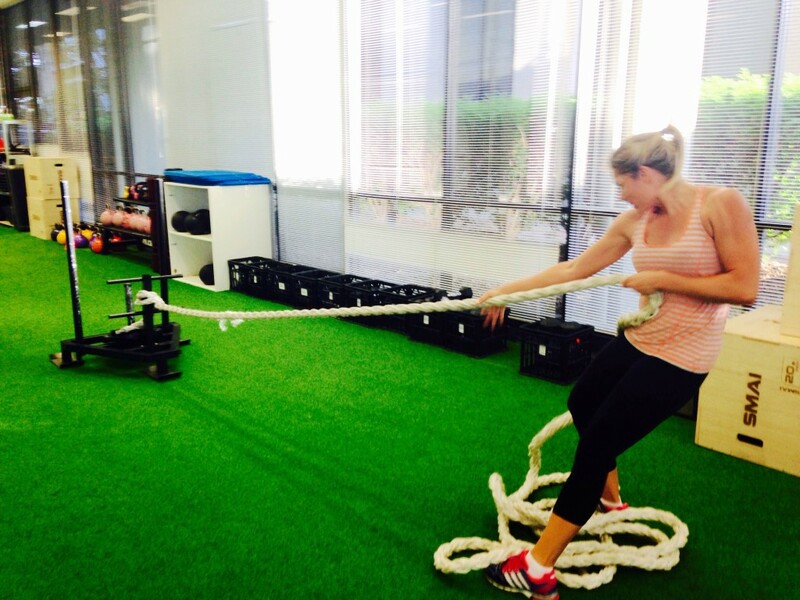 With a wide array of equipment which includes a matrix style fit out, battle ropes, sleds, gymnastic rings, suspension training, kettle bells, and slam ball in conjunction with plenty of traditional free weights; this has made one on one sessions, small group sessions, and boot camps in the gym much more challenging and fun. To celebrate this, JS-PT is offering newsletter subscribers their first 2 sessions for only $22! So come in, and experience for yourself a workout that takes you to the next level! Email info@js-pt.com.au for more info on how to get started. 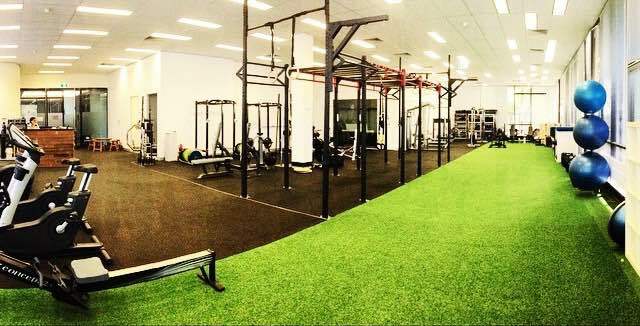 And whilst memberships to Flow2 are available, JS-PT clients don’t have to pay a membership to receive personal training/small group training (2-4 people).